I’ve never been a huge fan of marinara sauces – maybe because I’ve never had a really good one, until now! I like fresh sauces that have fresh garlic and herb flavor, something simple. After trying my hand at cooked sauces, I decided to try my hand at a raw sauce that I could make in a blender. After all, a lot of salsas that I make are blender salsas, so why wouldn’t a marinara work this way? 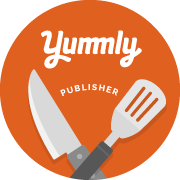 Well, after a little trial and error, I have made my favorite Raw Marinara Sauce. 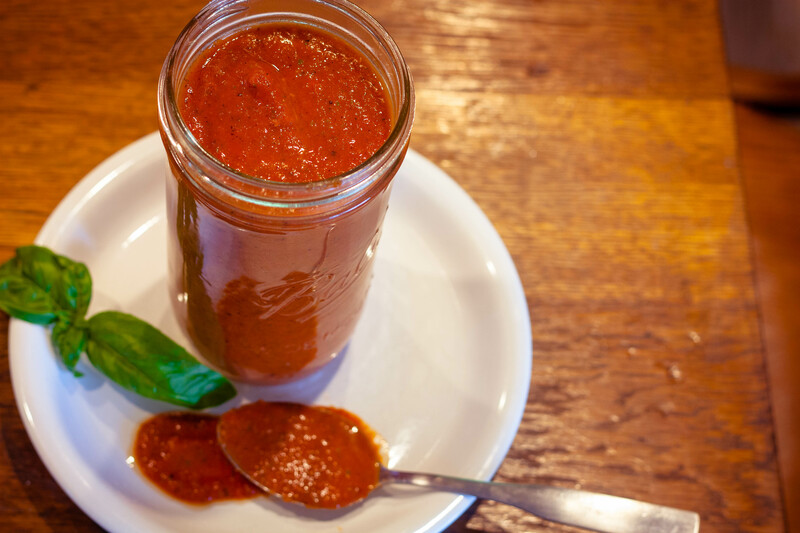 With only 7 ingredients, this light marinara sauce is packed with flavor, and comes together in just a few minutes using a blender. 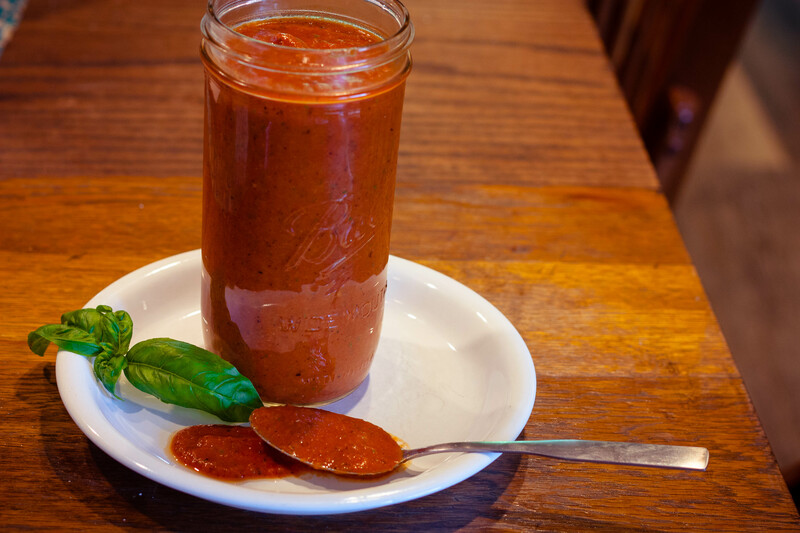 This sauce is perfect on vegetables, pasta, chicken, fish, and my Sourdough Pizza Crust! I hope you enjoy! In the jar of a blender, combine all ingredients. Because this sauce is not cooked, it needs to be used immediately, or stored, covered in the refrigerator for up to 3 days.